To assure that you receive only the most highly qualified service available, our chimney cleaning service is performed by technicians that are certified by the Chimney Safety Institute of America (CSIA). 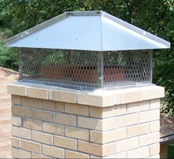 Our equipment is specifically designed for the type of chimney we are servicing whether it be a large masonry fireplace, furnace flue or metal factory built chimney system. to assure that no soot or creosote escapes into the room. vacuum allow us to perform mess free sweep! 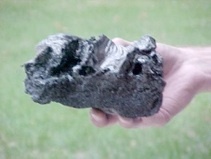 The soot and creosote dislodged during the cleaning process will be removed from the smoke shelf and firebox. Our technicians will also examine the fireplace (or appliance) and chimney and provide you with information regarding any problems or concerns discovered during the sweeping process. IS YOUR CHIMNEY SWEEP CSIA CERTIFIED? Trust your chimney only to a CSIA certified chimney sweep from Chimney Sweeps Unlimited. When Was Your Chimney Last Cleaned? Our experience has shown us that under normal burning conditions it may take about two cords of wood burned in a fireplace to produce enough of creosote build-up to warrant cleaning. This is only a rule of thumb and under certain burning conditions the need for sweeping could be much sooner. When in doubt, call for a professional inspection!